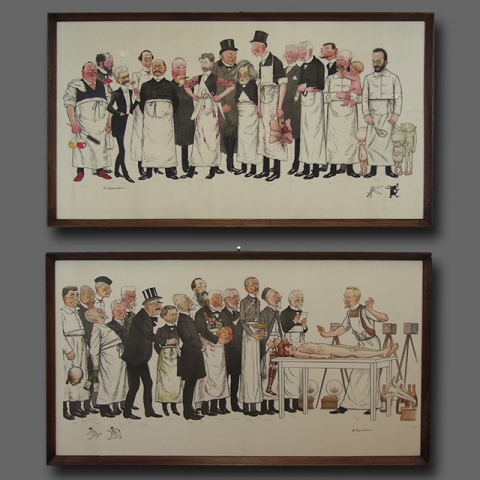 Adrien Barrère, (1874-1931), was a poster artist and a French painter of Belle Époque. After having studied law and medicine, it turned to the illustration and more particularly the art of the caricature. 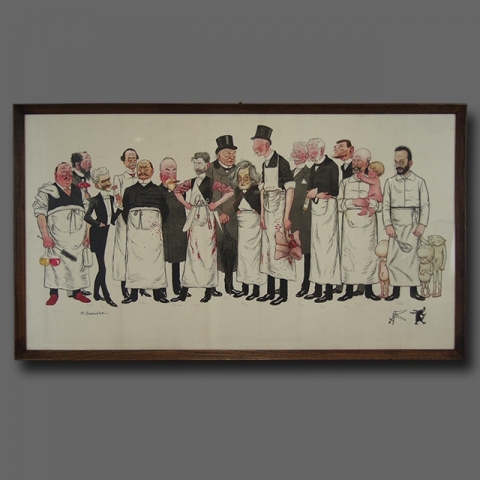 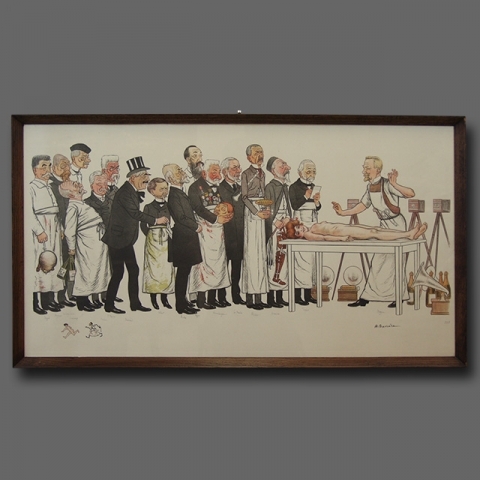 Its poster with the caricatures of the Professors of the medical college of Paris in 1904, whose original is held by the university of Rouen, was immensely popular at the time.